The Afghan province of Nuristan is nestled in the majestic Hindu Kush mountains, along the country's northeastern border with Pakistan. Nuristan has a mystical allure. Its name roughly translates as “land of light,” and many of its blond-haired, blue-eyed inhabitants proudly trace their genealogy to the forces of Alexander the Great, who invaded around 330 B.C. I first set foot in Nuristan in 2006 while doing research on the Afghan insurgency and was enchanted by its raw beauty and peculiar people. Nuristanis have a distinct tribal structure and culture, and at least five languages and multiple dialects are spoken there. But the area also has a darker side. Nuristan tribes have a reputation for being fiercely independent and suspicious of outsiders. The area served as the backdrop for Rudyard Kipling's “The Man Who Would Be King,” a novella about two British adventurers who tried to become rulers there. Locals mercilessly tossed one off a rope bridge to his death. They crucified the other by hammering wooden pegs into his hands and feet. Jake Tapper, a senior White House correspondent for ABC News, brings us back to the wilds of Nuristan in “The Outpost.” The setting is a series of austere U.S. military outposts in Kamdesh district, Nuristan province, between 2006 and 2009. Tapper particularly focuses on Combat Outpost (COP) Keating, which soldiers from 3-71 Cavalry, 10th Mountain Division constructed in the summer of 2006. COP Keating has the feel of a U.S. Army fort in the American West in the 1800s — spartan, isolated and utterly exposed. The book takes us through the tribulations of building and defending COP Keating and culminates in a tragic battle on Oct. 3, 2009. I was working for U.S. Special Operations in Afghanistan at the time and vividly recall the attack. A force of several hundred insurgents assaulted the outpost with small-arms fire, rocket-propelled grenades, heavy machine guns and B-10 recoilless rifles. They killed eight American soldiers and wounded nearly two dozen others, making it one of the worst attacks on a U.S. outpost during the war. Perhaps most alarming, insurgents entered the outpost and fought U.S. soldiers at point-blank range, nearly overrunning it. The power of “The Outpost” lies in Tapper's development of the main characters: the young soldiers serving in Nuristan and their anxious families back home. The book's purpose, he writes, is to help readers “better understand what it is that our troops go through, why they go through it, and what their experience has been like in Afghanistan.” Tapper succeeds here. He juxtaposes dramatic battles, complete with limbs blown off and eyes dangling from sockets, with poignant scenes of wives and parents first learning of the deaths of their loved ones. This criticism is overly simplistic and highlights a deficiency in an otherwise solid book. The overall conclusions of “The Outpost” are, at times, anecdotal. Tapper spends too much time providing tactical details of battles and too little offering a nuanced, thoughtful explanation of why the U.S. Army struggled so much in Nuristan. Part of the answer had to do with the Army's deficiencies in counterinsurgency warfare. During COP Keating's existence, U.S. soldiers in the area adopted a range of counterinsurgency approaches. Under Lt. Col.Chris Kolenda, U.S. forces established a close rapport with local tribes and supported development and governance projects. The villagers, in turn, provided American forces with critical intelligence about insurgent activity. But other Army units acted as if they were fighting a conventional war, eschewing the local population and trying to kill their way to victory. After the death of Capt. Robert Yllescas in late 2008, when Kolenda had departed, U.S. conventional forces severely cut back their interaction with locals and hunkered down in U.S. outposts in the area. They were flying blind and increasingly vulnerable to attack. This brings us to a broader lesson for Afghanistan: The Army was not well-prepared to fight a complex counterinsurgency. Unlike Special Operations forces, which are trained to work with local populations in hostile environments, most regular Army soldiers train for conventional wars against well-equipped militaries. Some of the soldiers deployed to COP Keating lacked the training — and, consequently, the mind-set — to fulfill their assignments. In addition, the book needs to be read — and understood — in context. The plot centers on a U.S. outpost that is overrun by insurgents, making it reminiscent of a Shakespearean tragedy. The reader has a gnawing sense that something terrible is going to happen at COP Keating — and sure enough, it does. Yet readers shouldn't interpret Nuristan as a microcosm of the Afghan war. It is not. Had Tapper focused on, say, U.S. Special Operations forces 60 miles south in Khas Konar district, Konar province, he would have told a different story. 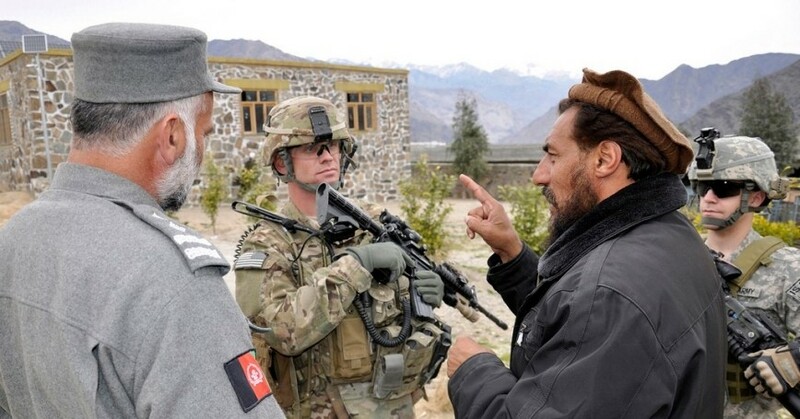 There, U.S. forces ran a successful counterinsurgency campaign with members of the Mohmand tribe that decimated insurgents in the area. As President Obama explained to Afghan President Hamid Karzai this past week in Washington, the U.S. military will pack up and leave dozens of bases in Afghanistan over the next two years. As it does, the Taliban will be ready to strike. The United States owes it to its soldiers and civilians, who have been bravely operating in insufferable areas of the country, to prevent another COP Keating. Seth G. Jones is associate director of the International Security and Defense Policy Center at the RAND Corporation and the author of “Hunting in the Shadows: The Pursuit of al Qa'ida Since 9/11.” In 2009, he served as a plans officer and senior adviser to the commanding general for U.S. Special Operations forces in Afghanistan. This commentary originally appeared in The Washington Post on January 12, 2013. Commentary gives RAND researchers a platform to convey insights based on their professional expertise and often on their peer-reviewed research and analysis.